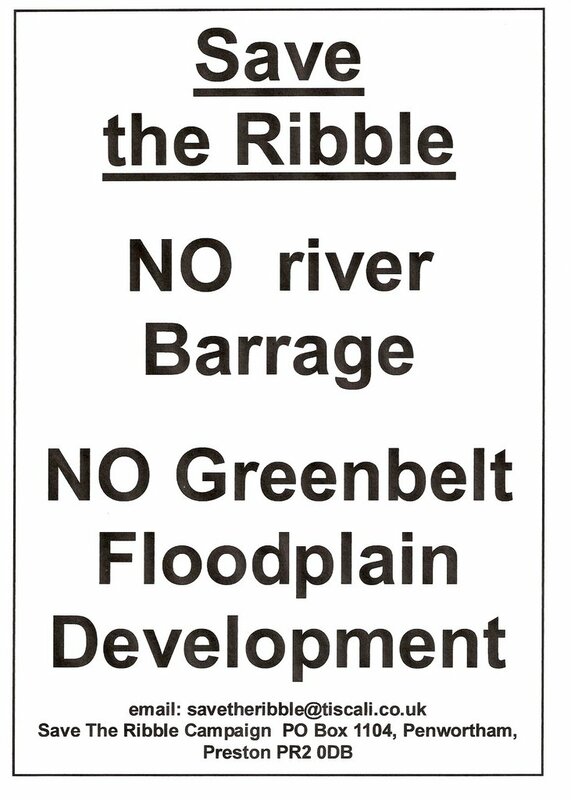 We will be joining other residents along the Ribble in keeping an eye on the situation as, despite calling a halt to the fracking process at Preese Hall on the Fylde while investigations are carried out into the tremors in the Blackpool area, the drilling activities are continuing, as are plans to drill on the South side of the Ribble in the Banks area between Preston and Southport. See the Southport Visitor for more on this. There is a well-organised campaign against Fracking on the Fylde, so do check out their blog http://dont-frack-with-the-fylde.blogspot.com/ for further information and to find out about any further developments as they are leading the campaign against this highly controversial activity in the area: What the Frack? The meeting was well-attended by local residents who raised significant conserns about the potential impacts of the fracking - not least to their fresh water supplies in the area. "In Lancashire it has been reported that the Shale Gas field potentially reached from Blackpool to Pendle Hill, and in the DECC map includes the Forest of Bowland and extends to the West side of the Yorkshire Dales. This itself suggests a field of approximately 400 square miles, and on a purely commercial consideration would mean 100 gas wells extracting gas from a well 2 miles apart ( the approximate distance of the first three test wells in the Fylde). THIS IS A TINY PROPORTION OF THE POTENTIAL FIELD across the UK, . The main risk and source of public outcry in the US has been the contamination of drinking water. In Lancashire the aquifers used in drinking cover this likely area of drilling and in the AJ Lucas press release [... ref attachments of evidence submitted to Parliament] re Preese Hall, Grange Hill, Singleton], appears to be in the location of the Aquifer [...ref attachments of evidence submitted to Parliament ] and Carbonate Rock. 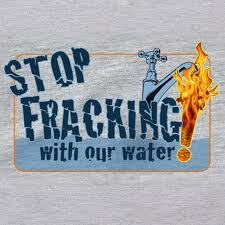 Purely commercial Interest would also mean many of the wells would be in the area of the aquifers. The committee should also consider the risk of extracting 1 billion gallons of water from the surface water of the potential gas field in Lancashire. The risk to wildlife and animals is huge. [ref attachments of evidence submitted to Parliament ]. Experiences in the Fylde of the first three production test sites (Weeton – Preese Hall, Singleton and Lytham Moss Anna’s Road) Cuadrilla Resources. Cuadrilla Resources Limited gives its postal address in Lichfield, Leicestershire, UK. AJLucas describe their activities as only in the UK and Europe and that this has been the first time they have carried out "true" shale gas extraction methods (ref attachments of evidence submitted to Parliament ). [Philip Mitchell here urges the committee to question Geologists on the significance of drilling through the rock quoted in the AJLucas press release e.g. to contamination of aquifers. ]" "Hydraulic Fracturing" AKA 'Fracking', a method of extracting natural gas from the ground deep beneath our feet is becoming a deeply contraversial process. As we reported yesterday, it's coming to Preston's doorstep. Here's a short video on the process and its possible consequences for the environment. A large number of Lancashire residents and numerous scientists are extremely concerned about the deep-rock Gas Drilling company Cuadrilla's extraction operations which are about to start at sites at Weeton, Singleton, and Westby, near Kirkham and Blackpool. 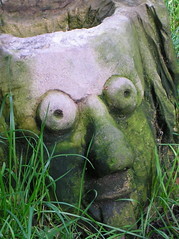 There are serious and significant concerns about the potential safety of the process, where rock thousands of feet below Lancashire will be fractured using chemicals to release the gas stored in the rocks, as the process causes the rock to be polluted and there is a risk of contamination of the groundwater - and therefore our drinking water. 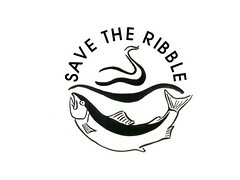 It is, of course, also the case that these chemicals could find their way into the Ribble's waters and pose a threat to its delicate ecosystem. The rock in which the gas is stored stretches across a large area of Lancashire along the Ribble valley catchment, from Pendle Hill through to the Irish Sea, and concerns about the so-called "fracking" extraction process are being raised by reputable scientists world-wide, and we will be examining the research and charting the Lancashire and world-wide campaigns against the Gas Drilling over the coming weeks. A report written by Professor Kevin Anderson from the Tyndall Centre in Manchester has led The Co-operative Financial Services' Chief Executive Neville Richardson to call for "a moratorium on any further exploitation of shale gas which will allow the wider environmental concerns to be fully exposed and addressed." Research around the globe is currently forcing a ban on the process in New York State and is raising concerns in other states of the US, as well as in other countries across the world from Canada to South Africa. 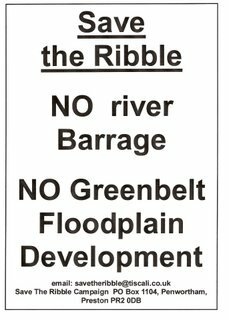 Here in Lancashire, as the Lancashire Evening Post report, 'the Blackpool and Fylde Green Party claims the process causes pollution and could be dangerous. Philip Mitchell, chairman of the party, said: “We demand that a ban is placed on all UK shale gas and coal bed methane industry activity, including testing sites. “This technology has been used at a site of an important groundwater aquifer and there are over 80 further applications which have been applied for around the UK. 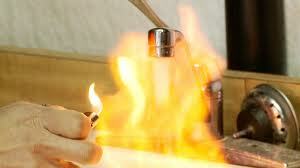 Concerns have been fuelled by US documentary Gasland, which shows flames shooting from taps in areas where hydro fracking has taken place. Philip Mitchell has tabled a Parliamentary Memorandum which is a well-researched and illuminating assessment of the risks this process has, and he is calling for a serious re-think of the scheme before the damage is done. - the "solid rock between [the aquifer at Preese Hall Farm, Weeton, Blackpool] and where the fracking takes place would prevent the water mix contaminating the aquifer"
-whilst admitting on the other that "You never have control. Fractures will always go into the path of least resistance." In other words, they're keeping their fingers crossed for us. Well, that's alright then. We will be reproducing extracts from it on the STR website soon, and keeping you informed about the campaign as it progresses.